The IDTech Shuttle is a magnetic stripe reader that communicates with mobile devices via the headphone jack. Use your mobile device to read a variety of magnetic stripes, including credit cards, signature debit cards, gift cards, and loyalty cards. The Shuttle utilizes ID TECH"s proven MagStripe reading technology, providing bi-directional card reading of up to two tracks of information. When reading card data the Shuttle encrypts the information before it enters the mobile device, providing protection of sensitive data. The IDTech Shuttle allows merchants to provide their customers with another acceptable method of payment, and with the capability to swipe credit cards, merchants can save money by avoiding costly card-not-present fees. With the IDTech Shuttle, merchants can accept credit card payments wherever they go. Mobile Reader, Apple iPhone/Apple iPad/Apple iPod/Android compatible, Black, Reads tracks 1 & 2. SDK NOT INCLUDED, SDK AVAILABLE IN THE KITS ONLY. This device requires encryption and is not plug-and-play, please call before purchasing. Mobile Reader, Apple iPhone/Apple iPad/Apple iPod/Android compatible, Green, Reads tracks 1 & 2, AES. SDK NOT INCLUDED, SDK AVAILABLE IN THE KITS ONLY. This device requires encryption and is not plug-and-play, please call before purchasing. Mobile Reader, Development/SDK kit, Apple iPhone/Apple iPad/Apple iPod/Android compatible, Black, AES, Reads tracks 1 & 2. This device requires encryption and is not plug-and-play, please call before purchasing. Mobile Reader, Apple iPhone/Apple iPad/Apple iPod/Android compatible, Black, Reads tracks 1 & 2, AES. SDK NOT INCLUDED, SDK AVAILABLE IN THE KITS ONLY. This device requires encryption and is not plug-and-play, please call before purchasing. Mobile Reader, Apple iPhone/Apple iPad/Apple iPod/Android compatible, Orange, AES, Reads tracks 1 & 2. SDK NOT INCLUDED, SDK AVAILABLE IN THE KITS ONLY. This device requires encryption and is not plug-and-play, please call before purchasing. Mobile Reader, Apple iPhone/Apple iPad/Apple iPod/Android compatible, Blue, Reads tracks 1 & 2, AES. SDK NOT INCLUDED, SDK AVAILABLE IN THE KITS ONLY. This device requires encryption and is not plug-and-play, please call before purchasing. Mobile Reader, Development/SDK kit, Apple iPhone/Apple iPad/Apple iPod/Android compatible, Black, Reads tracks 1 & 2. This device requires encryption and is not plug-and-play, please call before purchasing. Mobile Reader, Development/SDK kit, Apple iPhone/Apple iPad/Apple iPod/Android compatible, Black, Reads tracks 1 & 2. Encrypted. Mobile Reader, Apple iPhone/Apple iPad/Apple iPod/Android compatible, Orange, Reads tracks 1 & 2. SDK NOT INCLUDED, SDK AVAILABLE IN THE KITS ONLY. This device requires encryption and is not plug-and-play, please call before purchasing. Mobile Reader, Apple iPhone/Apple iPad/Apple iPod/Android compatible, Blue, Reads tracks 1 & 2. SDK NOT INCLUDED, SDK AVAILABLE IN THE KITS ONLY. This device requires encryption and is not plug-and-play, please call before purchasing. Mobile Reader, Development/SDK kit, Apple iPhone/Apple iPad/Apple iPod/Android compatible, Green, Reads tracks 1 & 2. This device requires encryption and is not plug-and-play, please call before purchasing. 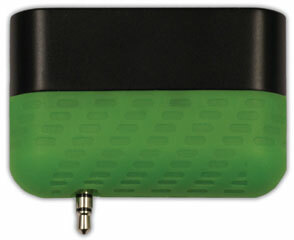 Mobile Reader, KEY 120, LV3, Apple iPhone/Apple iPad/Apple iPod/Android compatible, Green, Reads tracks 1 & 2. This device requires encryption and is not plug-and-play, please call before purchasing. Fast shipping, easy to install and use. Great follow up customer service! Barcodes delivers what they promise. The reader gets card swipes the first time everytime. Unlike Square reader that got it only about 50% of the time and raised my Square rate from 2.75% to 3.75%. My credit card processor has me on an interchange cost plus program and is beating Square's published 2.75% rate by a full 1% even with their monthly fees. Avoid the Square!